Finding the right assisted living community can be overwhelming. After all, you want to find the best place for your loved one to live and receive senior care services. Asking the right questions when touring an assisted living community can help narrow down your choices. How is the monthly service fee structured? Assisted living communities typically offer one of three options: all-inclusive with limited ancillary fees, a base rate with added service tiers based on specific service needs, or a base rate with additional costs calculated on a point system after an assessment. Each scenario has benefits, however, an all-inclusive rate offers predictable monthly costs and enables better financial planning for the family. How are the costs paid for? Typically, assisted living communities are paid for privately, meaning the resident or family, is financially responsible for paying the monthly bill. Individuals with long-term care insurance may hold a policy that will pay a portion of the daily rate for this level of care, so it’s important to ask the insurance provider directly to determine eligibility. Medicare does not cover the costs of assisted living. What happens when your loved one needs the next level care? Communities vary in how much assistance is provided to the individual as his or her care needs increase. Ask what would precipitate a move. It is also important to know if the community is part of a continuum of care where residents get priority access into short-stay rehab, skilled nursing care, or a Medicaid bed if funds become depleted. You should also ask if the community helps facilitate placement or is the family responsible for the research and the planning. Is there an assessment of a senior’s needs before they’re accepted into assisted living? A pre-assessment is necessary prior to admission to determine if the potential resident meets the criteria for assisted living. After admission, a trained community-based assessor meets with each resident and works through specific questions and activities that give a baseline of abilities and cognition. This results in an individualized service plan which is shared with all staff outlining the care and oversight provided on a daily basis. What is the staff like? How much experience do they have working in an assisted living environment? What are the staffing ratios relative to the number of residents? Is there a memory support neighborhood? How many hours per week is a registered nurse or a licensed practical nurse in the building? 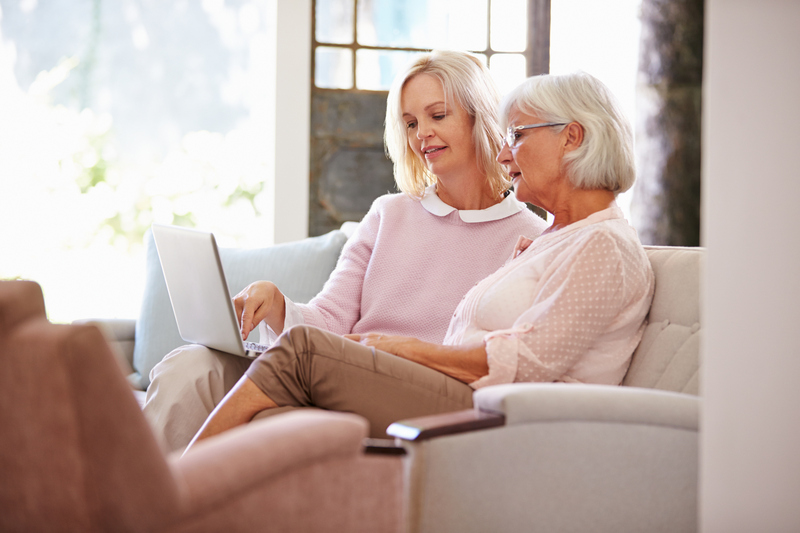 These are fair and appropriate questions to ask when searching for the right assisted living community for your loved one. What dining services are offered? Dining services are a key component of an assisted living community. Ask about scheduled meal times and the availability of to eat outside of those windows. What activities are available in the community? Activities help achieve a healthy mind and body, and generally make life fun. Activities also help residents get to know each other. Are the activities tailored to the individual interests of the residents? What do residents bring with them? Residents bring their own furnishings and make their apartment their own. This typically also includes supplies such as paper towels, trash bags, and laundry detergent too. Just ask the assisted living staff, and they’ll be happy to give you direction. What kinds of services are available on site? Most assisted living communities want to make services as easy as possible to access for residents. That includes having a visiting dentist, ophthalmologist, beauty and barber shop as well as worship services on-site. There may also be massage therapy, personal training, medical transportation and more. Is medication management included in the monthly service fee, or is it extra? Some assisted living communities include medication management and oversight in the monthly service fee, others charge an additional fee for this service. Bethesda has Assisted Living communities across the St. Louis area. Contact us to schedule a tour at an assisted living community near you.